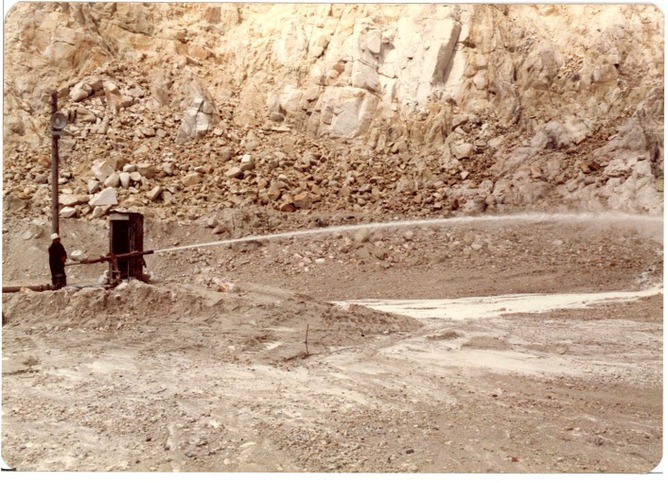 Gunheath ,1980s Bunny Mine area. Plancheite supposedly collected here in 1958 by Arthur Kingsbury (1906-68) is now considered "very doubtful" and probably from Arizona. This is one of a number of likely or definitely falsified Kingsbury localities. 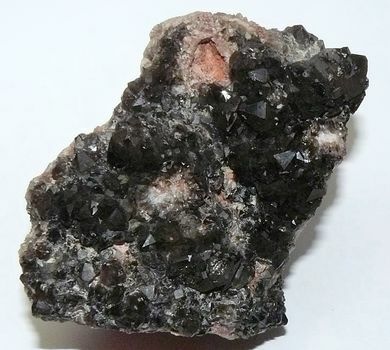 Given the iron-rich nature of the mineral assemblage and its manganese-poor character, the strunzite should be validated from the more likely ferrostrunzite possibility. 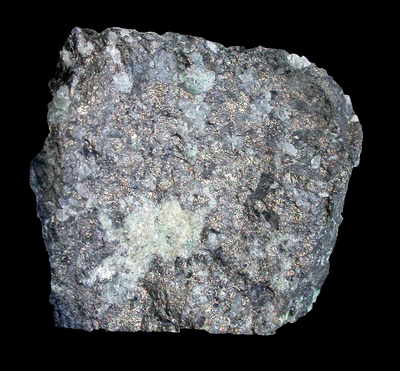 Reference: Williamson, B.J., Stanley, C.J., and Wilkinson, J.J. (1997): Contributions to Mineralogy and Petrology 127, 119-128. Reference: Barstow, R. W. (1982). 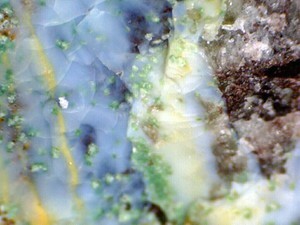 Variscite from Hensbarrow china clay works, St. Austell, Cornwall. 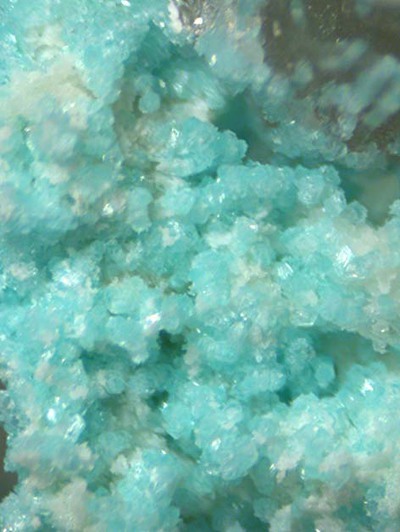 Mineralogical magazine, 46, 512. Reference: [Elton, N. J. 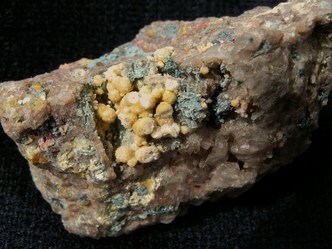 (1998): Barbosalite, frondelite and other phosphates from Gunheath China Clay Pit, St Austell, Cornwall, England. Journal of the Russell Society 7, 15-18. Reference: Elton, N. J. 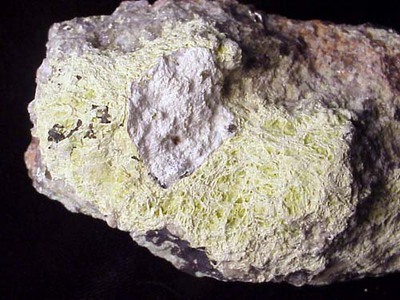 (1998): Barbosalite, frondelite and other phosphates from Gunheath China Clay Pit, St Austell, Cornwall, England. Journal of the Russell Society 7, 15-18. 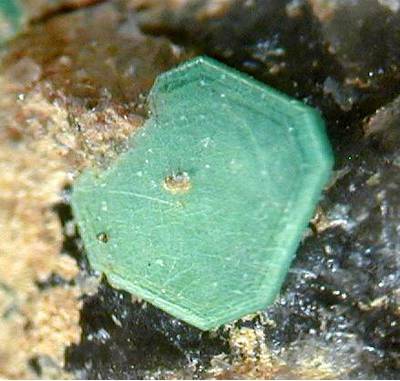 Reference: [Golley & Williams, 1996, 13 - "Cornish Mineral Reference Manual"]; Mineralogical Magazine 1996 60 : 517-518. Reference: Elton, N. J. 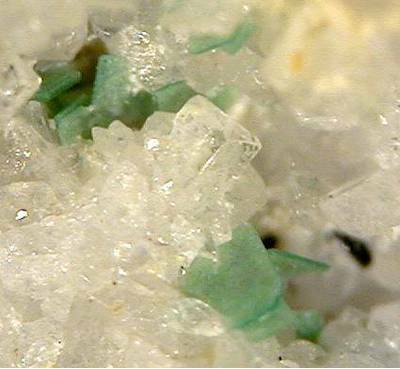 (1998): Barbosalite, frondelite and other phosphates from Gunheath China Clay Pit, St Austell, Cornwall, England. Journal of the Russell Society 7, 15-18. ; Barstow, R. W. (1982). 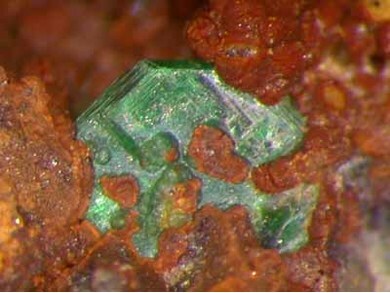 Variscite from Hensbarrow china clay works, St. Austell, Cornwall. 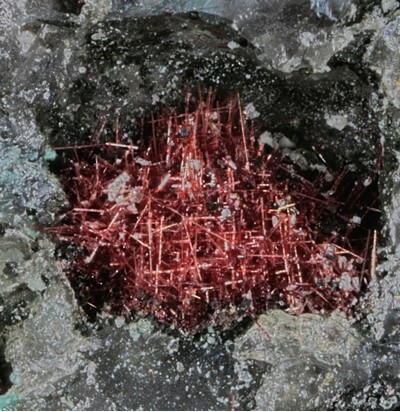 Mineralogical magazine, 46, 512. Reference: Elton, N. J. 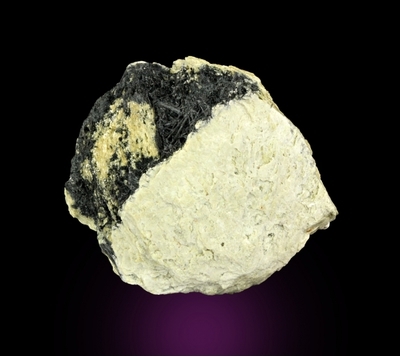 (1998): Barbosalite, frondelite and other phosphates from Gunheath China Clay Pit, St Austell, Cornwall, England. 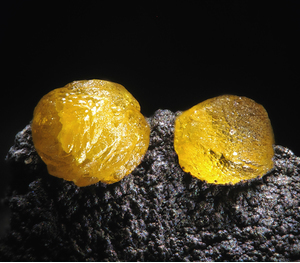 Journal of the Russell Society 7, 15-18. ; Mineralogical Magazine 1996 60 : 517-518. 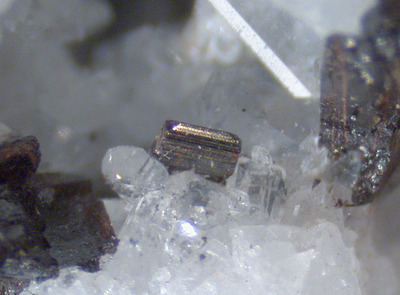 Reference: Williamson, B.J., Stanley, C.J., and Wilkinson, J.J. (1997): Contributions to Mineralogy and Petrology 127, 119-128.; Barstow, R. W. (1982). 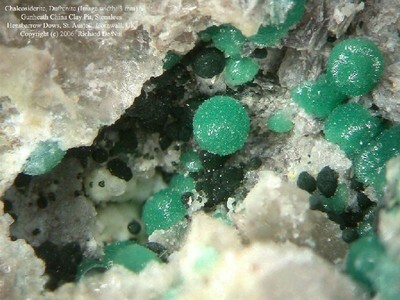 Variscite from Hensbarrow china clay works, St. Austell, Cornwall. Mineralogical magazine, 46, 512. 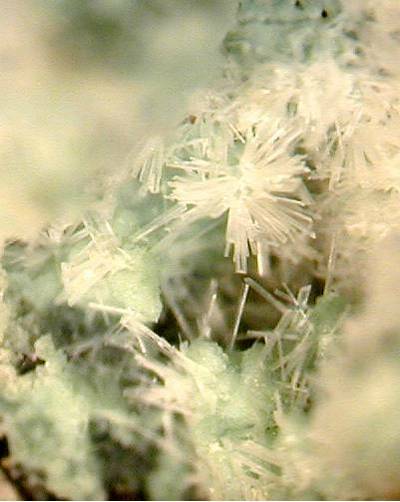 Reference: Mineralogical Magazine 1996 60 : 517-518. Reference: Elton, N. J. 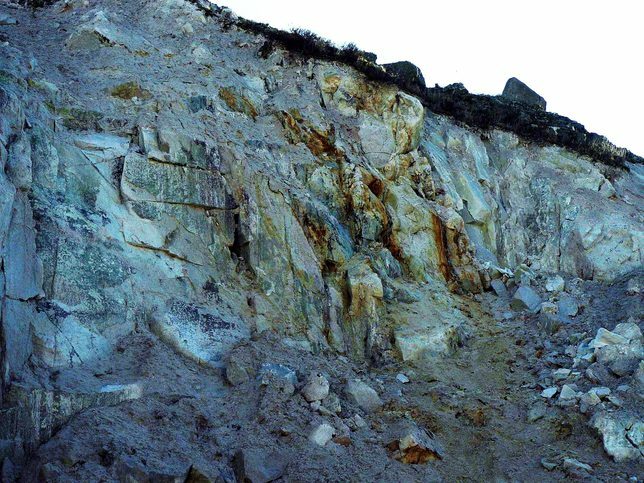 (1998): Barbosalite, frondelite and other phosphates from Gunheath China Clay Pit, St Austell, Cornwall, England. 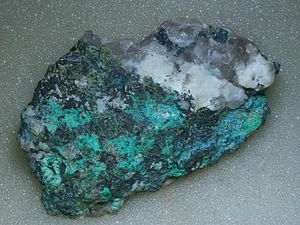 Journal of the Russell Society 7, 15-18; Golley & Williams, 1995, 38 - "Cornish Mineral Reference Manual"; Mineralogical Magazine 1996 60 : 517-518. 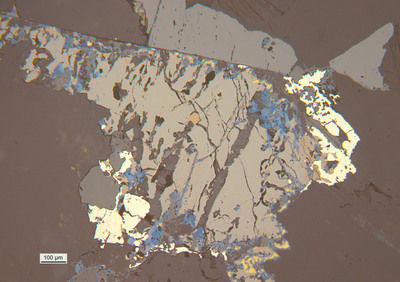 Reference: Mineralogical Magazine 1996 60 : 517-518; Williamson, B.J., Stanley, C.J., and Wilkinson, J.J. (1997): Contributions to Mineralogy and Petrology 127, 119-128. 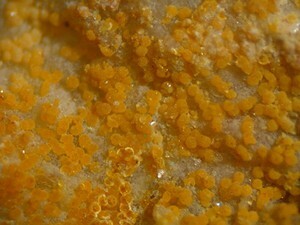 Description: Microscopic inclusion in topaz. 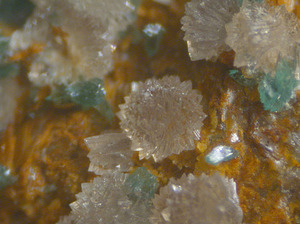 Inclusions in topaz analyzed only by ICP-OES and Raman spectrometry. 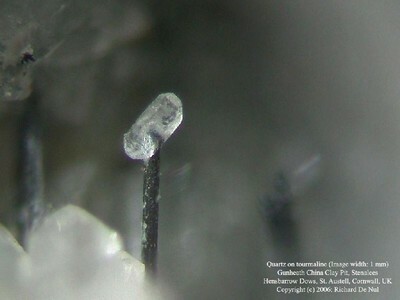 Without XRD orthorhombic qitianlingite can not be distinguished from monoclinic "wolframoixiolite". 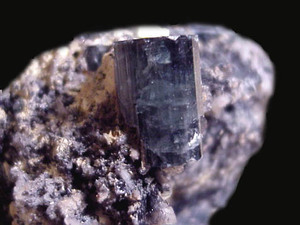 Qitianlingite must be therefore regarded as unconfirmed. 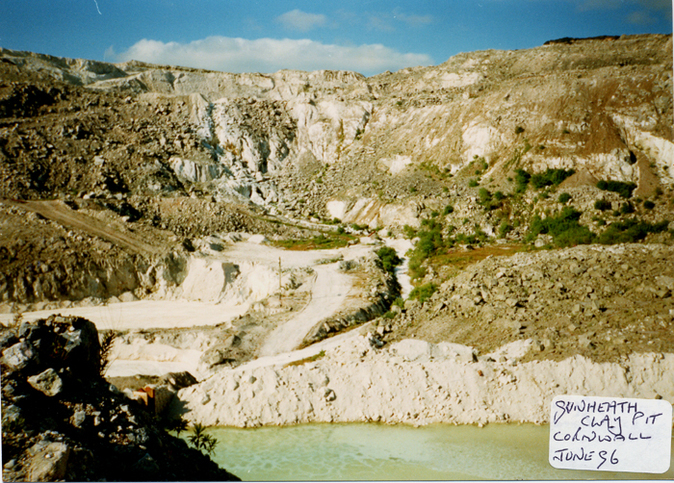 Reference: Mineralogical Magazine 1996 60 : 517-518.; Econ Geol (1995) 90:495-519; Barstow, R. W. (1982). 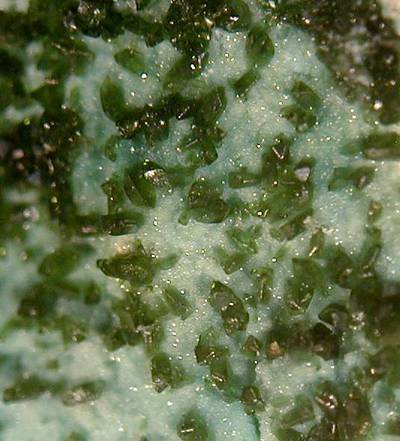 Variscite from Hensbarrow china clay works, St. Austell, Cornwall. Mineralogical magazine, 46, 512. Reference: Elton, N. J. 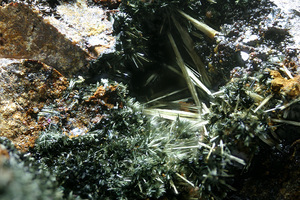 (1998): Barbosalite, frondelite and other phosphates from Gunheath China Clay Pit, St Austell, Cornwall, England. 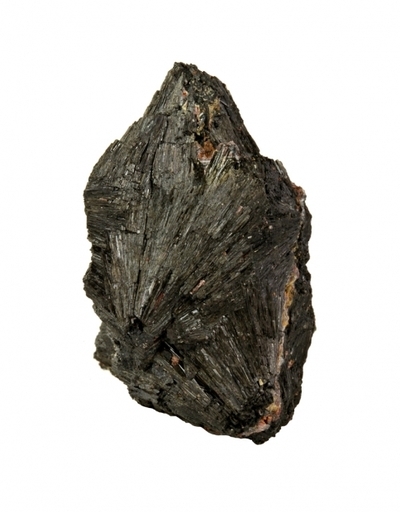 Journal of the Russell Society 7, 15-18. ; Golley & Williams, 1995, 58 - "Cornish Mineral Reference Manual"
Reference: Econ Geol (1995) 90:495-519; Williamson, B.J., Stanley, C.J., and Wilkinson, J.J. (1997): Contributions to Mineralogy and Petrology 127, 119-128.; Barstow, R. W. (1982). 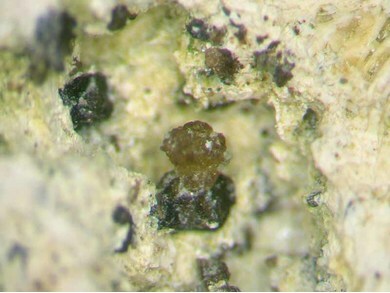 Variscite from Hensbarrow china clay works, St. Austell, Cornwall. Mineralogical magazine, 46, 512. Reference: Elton, N. J. 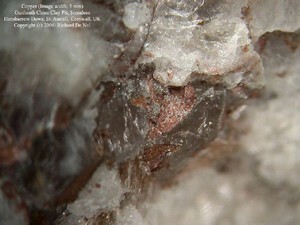 (1998): Barbosalite, frondelite and other phosphates from Gunheath China Clay Pit, St Austell, Cornwall, England. 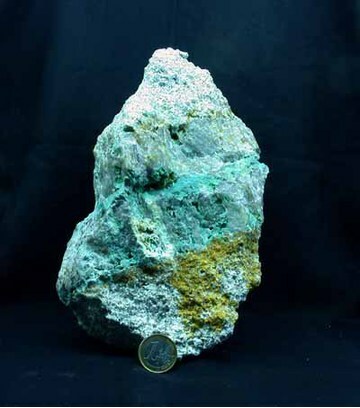 Journal of the Russell Society 7, 15-18; Golley & Williams, 1995, 62 - "Cornish Mineral Reference Manual"; Mineralogical Magazine 1996 60 : 517-518.; Barstow, R. W. (1982). 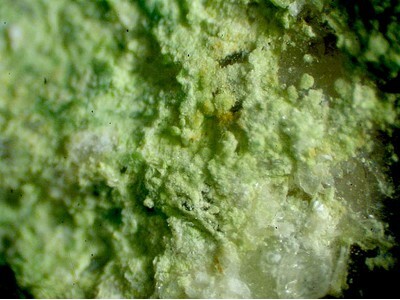 Variscite from Hensbarrow china clay works, St. Austell, Cornwall. 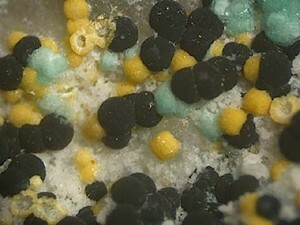 Mineralogical magazine, 46, 512. 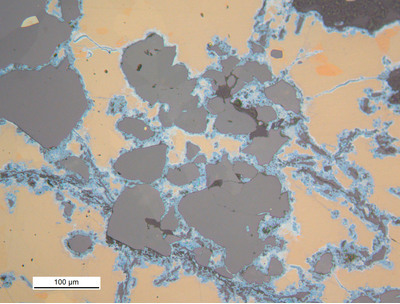 Williamson, B.J., Stanley, C.J., and Wilkinson, J.J. (1997) Implications from inclusions in topaz for greisenisation and mineralisation in the Hensbarrow topaz granite, Cornwall, England. 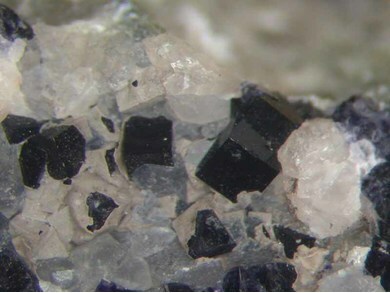 Contributions to Mineralogy and Petrology 127, 119-128. Elton, N. J. 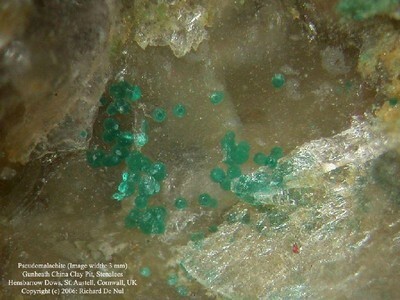 (1998) Barbosalite, frondelite and other phosphates from Gunheath China Clay Pit, St Austell, Cornwall, England. Journal of the Russell Society 7, 15-18. Ryback, G., Hart, A.D., and Stanley, C.J. (2001) Journal of the Russell Society 7(2).